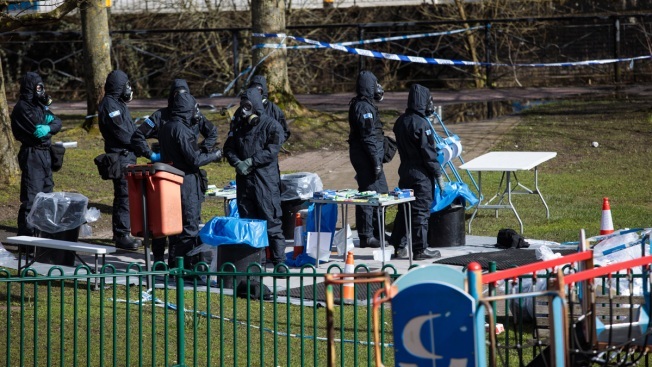 Police officers in protective suits and masks work near the scene where former double-agent Sergei Skripal and his daughter, Yulia were discovered after being attacked with a nerve-agent on March 16, 2018 in Salisbury, England. 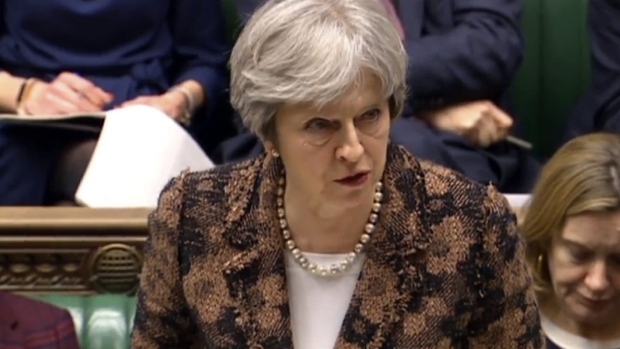 Britain has expelled 23 Russian diplomats over the nerve agent attack on former spy Sergei Skripal and his daughter Yulia, who both remain in a critical condition. Russian Foreign Minister Sergei Lavrov has responded by saying that Moscow will also expel British diplomats. A former Russian double agent received a message on his birthday saying he was on a Kremlin hit list along with Sergei Skripal, another ex-spy who was later poisoned using a nerve agent, NBC News reported. Boris Karpichkov was warned, "be careful, look around, something is probably going to happen," he said in an interview. He said he was told several other ex-KGB agents were on the hit list as well as Christopher Steele, the author of the dossier alleging collusion between Russia and the Trump campaign, and Bill Browder, the man responsible for a set of U.S. sanctions against Russians. Putin has denied Russian involvement in the Skripal case, calling Britain's allegations that Russia was behind the nerve agent poisoning "nonsense." The incident has led to a major diplomatic spat between Russia and the West.